In 1971, Paul Carpenella bought The Green Dolphin and thus began the story of ``Chez Paul.`` At that time the ``Green Dolphin,`` was a popular spot on North Beach Street. The Green Dolphin was originally a tavern seating up to 250 people and catered to the blue-collar crowd for congregating and unwinding from a hard day's work. After 10 years of operation, Paul purchased the property and changed the name to the ``Frosted Mug.`` He then experimented with various ideas until February of 1984, when he decided to build Daytona's first authentic Fondue room. He envisioned a garden area that would complement the restaurant and the construction began. The result was the combination of Old World flavor combined with a romantic atmosphere. Later, the menu was changed to reflect a French and Italian gourmet cuisine. During the time Paul was Mayor of Daytona (l993-95) and involved in the political scene, the restaurant was not operational, except for catering. After a brief interlude, in 1999 ``Chez Paul`` was again opened to the general public with Paul's famous French and Italian gourmet menu, a true Epicurean delight. This feat was not accomplished single-handedly. Without the help of his family, friends and employees, this transformation could not have happened. Paul would like to say a special thank you to his Mom and Dad for their tireless efforts and his brother and sisters and son Paul Ron who were always ready to lend a hand. Not just dinner but a great experience. Nice warm feeling about the place. Reminded me of a small south Philly Italian restaurant. Great personal service. Good prices for the level of cuisine. New Years Eve dinner was excellent! Highly recommend to anyone that enjoys fine food. Thank you Paul....and to your excellent staff who took care of us so.well. We will be back!!! Had our Anniversary dinner here, it was amazing. We had our 2yr old with us and the chefs were so friendly and accommodating. They made the evening very special by catering to us like we were celebs. Highly recommend. 5 star so dress nice. All of the food was on point for flavor and presentation. We had the Tuscan shrimp, the Chilean Sea Bass, the Filet, and amazing Italian desserts. 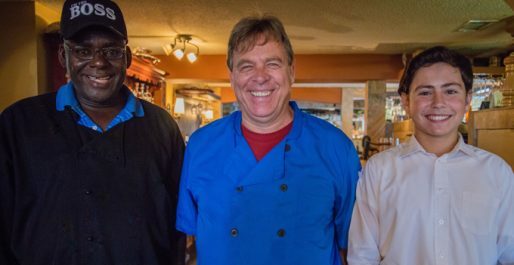 I have been eating in the Daytona Beach area for years, this place is awesome, Paul the owner and chef makes you feel welcome as soon as you meet him and is a real hoot. He explains the preparation of each dish and also has many choices in addition to the menu. 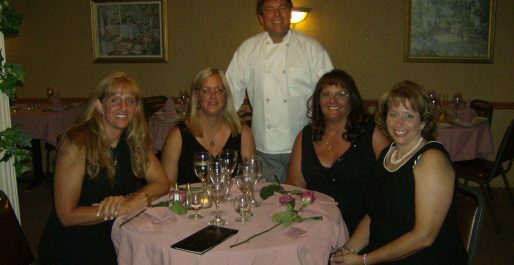 His dishes are served with pride and a wonderful flair, and are also delicious to say the least. Nathaniel I believe to be his right hand is a wonderful cook and server. He is funny, attentive and also a comedian. He is an asset to Chez Paul staff. His assistant ( a sweet grey haird young lady) was also attentive and friendly as the latter. Do not let the exterior fool you, this place is quaint, warm and elegant. But be sure to call and make a reservation. No walk- ins here.